ACTAtek has its roots in ERP and technology solutions that address workforce management and security. Formed over ten years ago, ACTAtek now has operational offices in The USA (California), Canada (Vancouver), EMEA (UK), India (New Delhi), Thailand (Bangkok), Singapore, Hong Kong and Malaysia (KL). 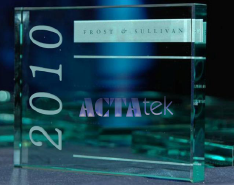 ACTAtek has won critical acclaim in independent reviews, and continues to develop its technology platform to incorporate key elements of the targeted growth markets. Please bookmark this website and watch for new case studies where we share customer stories and show complete system solutions through our own offerings and those in partnership with industry leaders in security, workforce management and payroll. SC Magazine Awards 2006 Finalist - Best Biometric Device (Best Identity Management Solution) in the Reader Trust Awards. Linux Business Award 2005 - Product Development Enterprise Business Application. SKM Sinclair Knight Merz (Phils.) Inc.